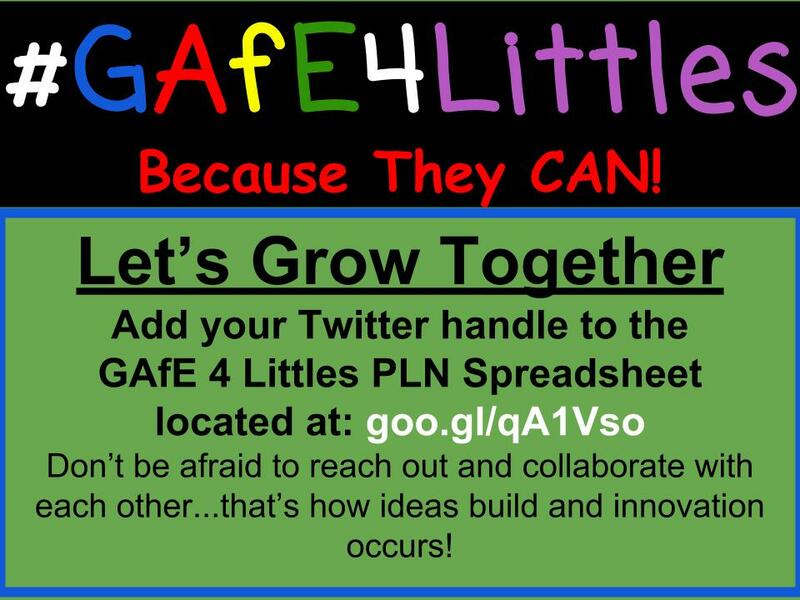 #GAfE4Littles is HAPPENING!!! New educators and advocates are discovering the hashtag and the PLN that is established upon it. 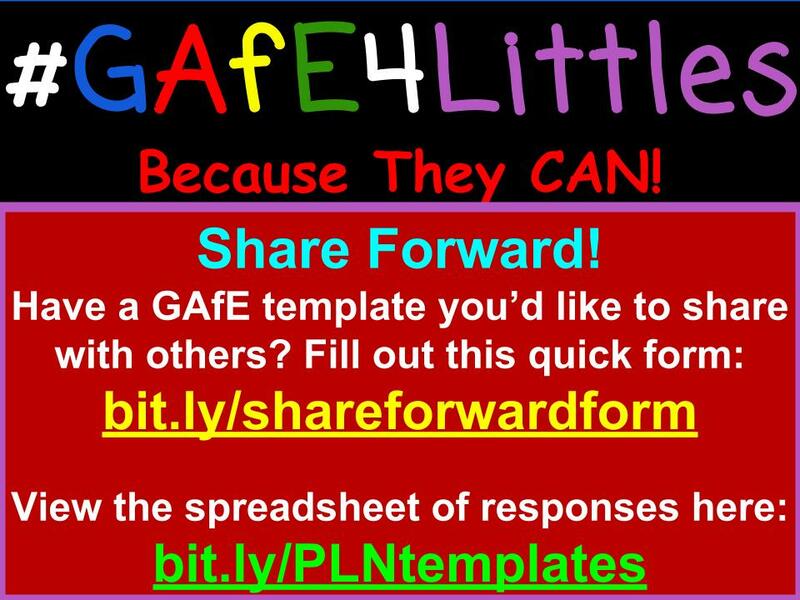 TONS of resources and Google Apps templates are being shared. More teachers are believing in their Littles and giving them a chance to explore technology! I am dedicating a place on my blog where you can access other peoples’ resources and Twitter handle information. The goal is to get others to contribute their resources and knowledge! We are more powerful when we work together and share! 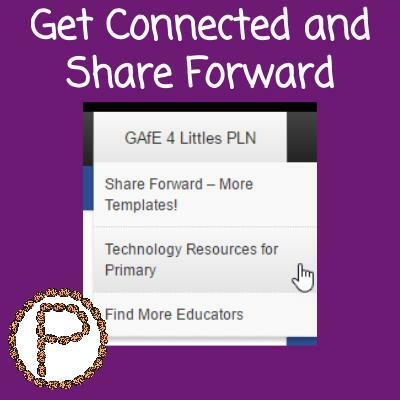 Hover over the GAfE 4 Littles PLN menu and the other 3 sub menu items will appear. GO CLICK ON THEM AND CHECK THEM OUT! (Links are provided on this blog post). This entry was posted in Technology Resources, Twitter by Christine Pinto. Bookmark the permalink.